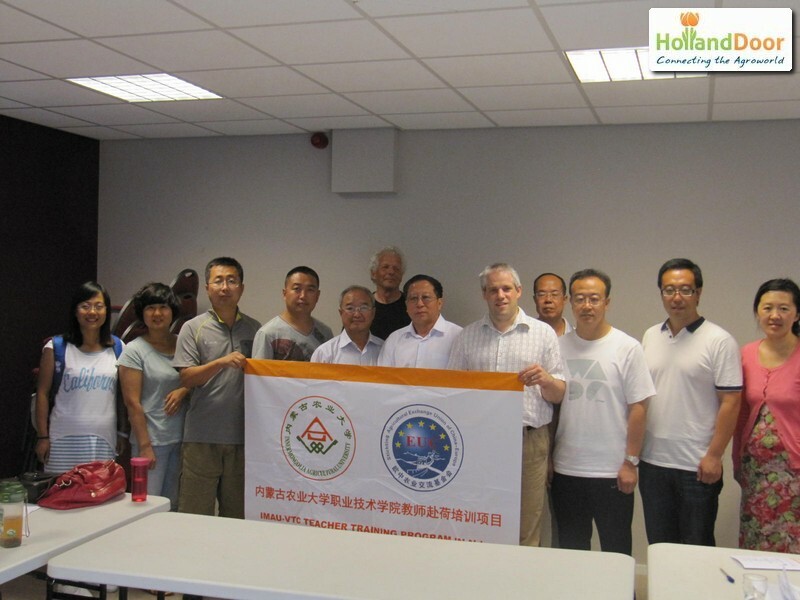 From 14 July until 3 August 2014, HollandDoor provided four days of training to a group of nine Business Management teachers from the Vocational and Technical College of Inner Mongolia Agricultural University (IMAU) in China. The training was requested by Stichting Agricultural Exchange Union of China-Europe (Foundation EUC). EUC was responsible for travel and accommodation arrangements and it organized several agro and cultural excursions within the Netherlands. For most of the trainees, it was their first time in the Netherlands, Europe or even outside China. It was quite an experience! !